We have some of the best prices for driving lessons compared to any other driving school Milton Keynes. Why not take advantage of paying for your driving lessons via PAYPAL. The easiest, safest and secure way to make payment for your lessons. All of our block bookings do not come with conditions unlike some who hold back a certain amount of hours for a driving test. You buy the block and complete the block with no limitations. Peace of mind money back guarantee on top of your payments secures your investment. 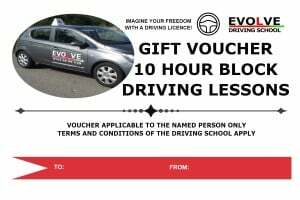 All new potential customers, please contact the driving school before making any payments for lessons to check for availability of the driving school. This is to make sure a diary slot can be accommodated at busy periods, otherwise, a refund will be issued. We now do gift vouchers if you would like to give a gift to somebody special for a Birthday, Christmas or whatever you like, use our Contact us page and ask for more information. The driving school requires a minimum of at least 10 hours commitment from any new customer or we will reserve right to turn an inquiry down for fewer hours requested. We take driving lessons payments via cash, cheque, Paypal, Credit Card via Paypal or bank transfers. Block bookings can be turned into a fast pass course if you need to pass the driving test in a hurry. Therefore, Driving lessons are usually undertaken 1-2 weeks before a test. Also, please check the availability of the driving school to accommodate your needs first. The theory test must be passed before a practical test can be booked.